[PDF] Chinese-English Bilingual Visual Dictionary (DK Bilingual Dictionaries) (Chinese and English Edition) | Free eBooks Download - EBOOKEE! 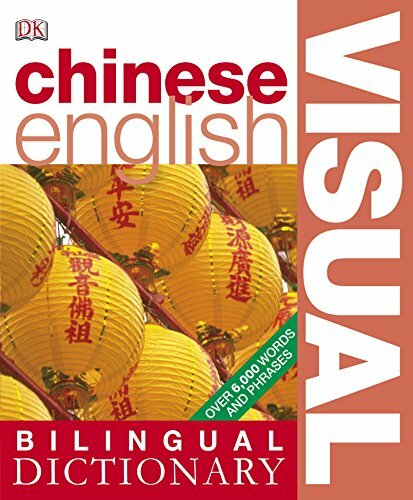 Description: Look and learn to recall a wealth of everyday vocabulary in Chinese with this intuitive easy-to-use visual language dictionary Whether it's for business or pleasure, pick up 6,000 key Chinese words and phrases on a range of subjects: from shopping and eating out, to sport and beyond quickly and easily. Find every word you need to know fast using the clearly labelled colour illustrated scenes from everyday life. Plus, find helpful features on key Chinese nouns, verbs and phrases to improve your understanding. Pocket-sized so you can take it wherever your travels take you. No comments for "[PDF] Chinese-English Bilingual Visual Dictionary (DK Bilingual Dictionaries) (Chinese and English Edition)".